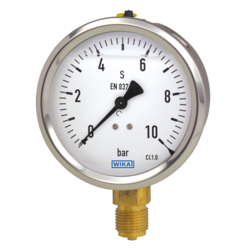 Our product range includes a wide range of commercial and utility pressure gauge, glycerine filled pressure gauge, weatherproof process pressure gauge, diaphragm sealed pressure gauge, low pressure diaphragm and capsule gauge and vacuum gauge. 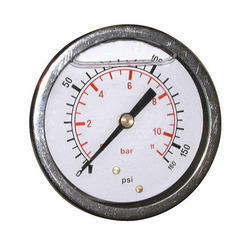 Being a well known name in the industry, we are associated with manufacturing and supplying a distinguished assortment of Commercial and Utility Pressure Gauge at highly feasible prices. 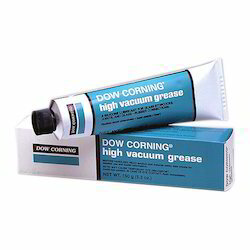 Known amongst our customers for their hassle free performance and high functionality, these offered products are immensely demanded by our patrons. Furthermore, our customers’ can get them from us in customized packaging solutions. 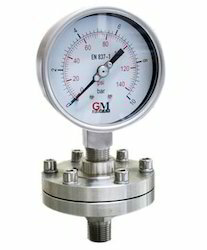 Owing to our sound and well equipped manufacturing unit, we are capable of providing to the industry a comprehensive array of Glycerine Filled Pressure Gauge. 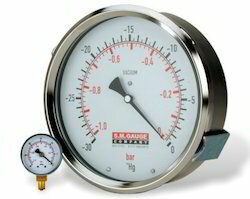 Using cutting edge technology and tools along with ultra modern machinery, we design and develop these gauges under the supervision of our professionals. Along with this, these products are in tune with the global industry standards and thus are highly popular amongst our clients. Being one of the pioneer companies of the industry, we are dedicatedly occupied in providing a commendable range of Weatherproof Process Pressure Gauge to our customers. Owing to their high performance and operational fluency, we manufacture these products using quality approved raw material and sophisticated technology. 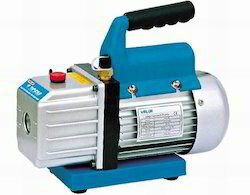 Moreover, we provide them to our customers after stringent examinations of quality. 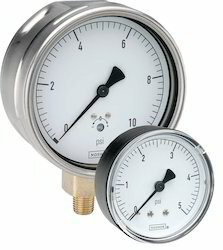 In order to fulfill the diversified an immensely changing needs and requirements of our clients, we bring forth a high quality plethora of Diaphragm Sealed Pressure Gauge. 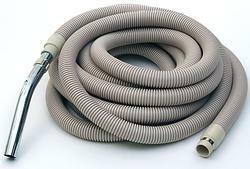 Offered by us in various sizes, dimensions and specifications, we also provide the facility of customizing these products as per the needs and specifications of our clients. Moreover, we ensure to deliver them to our customers within the promised time.